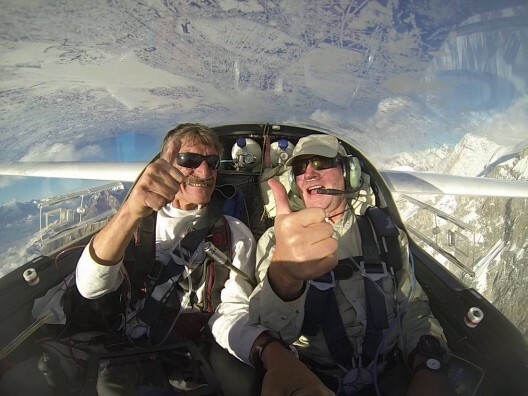 Klaus Ohlmann says the sailplanes and solar-powered aircraft in which he has set several world records are powered by a “gravitational engine with an external fusion reactor.” He has been on a sun-stoked roll the last few years. His recounting of the epic journey first to fly a Stemme motorglider from Germany to Katmandu, and then to conquer Mount Everest in a sailplane, kept the eighth annual Electric Aircraft Symposium audience enthralled. That feat alone would be enough for admiration, but his seemingly never-ending series of adventures provoke a bit of awe. He is a member of the Mountain Wave Project (MWP), a group which explores high-altitude weather systems to verify theoretical considerations. As stated in the MWP’s web site, it is “a project of the scientific and meteorological panel of OSTIV (Organisation Scientifique et Technique du Vol à Voile) …conceived during an OSTIV seminar 1998 in Serres/France by René Heise and Klaus Ohlmann and attracted several enthusiastic scientists/pilots since.” He holds the world’s absolute distance record in a sailplane – 3,008 kilometers (1,865 miles), flown along the Andes in 2003 in a Schemp-Hirth Nimbus 4 DM. He and Eric Raymond flew e-Genius to the second place finish in the Green Flight Challenge in September, 2011. He set several records in Icare 2, a 25-meter (82-feet) wingspan, solar-powered airplane while flying around the French Alps. 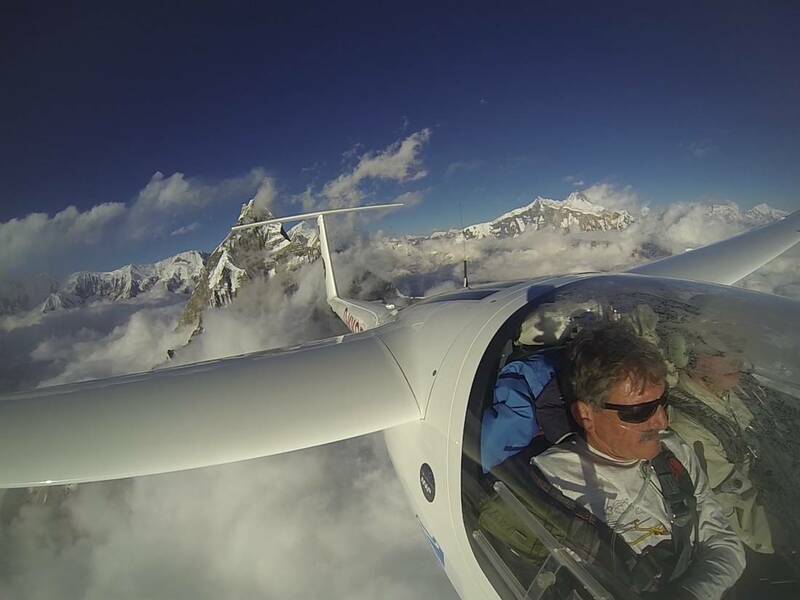 Klaus later flew e-Genius again, to first place in the 2013 Green Speed Cup and also set a world distance record for electric aircraft – 252 miles – during that event. The flight to Nepal came about because Klaus determined it was easier to fly there than to ship the airplane by container ship and meet up with it. The Stemme SV-10T, after all, is a real airplane and a real sailplane, with excellent capabilities in either mode. With six hours endurance and 1,200 kilometer (744 mile) range possible Klaus could make big jumps on his way to the high mountains on the border of China. 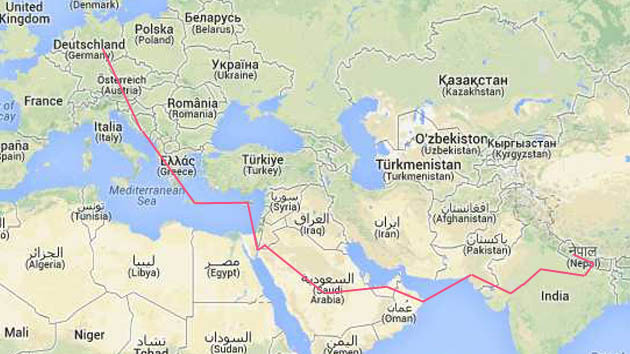 See Klaus’s recounting of the journey to Nepal and the many flights over and around Everest under power and unpowered. The images of things flying up and tapping the canopy in Klaus’s presentation gave Symposium attendees a startling view of how turbulent some of the flights were. It was a stunning reminder of the talent and courage that our presenters share.